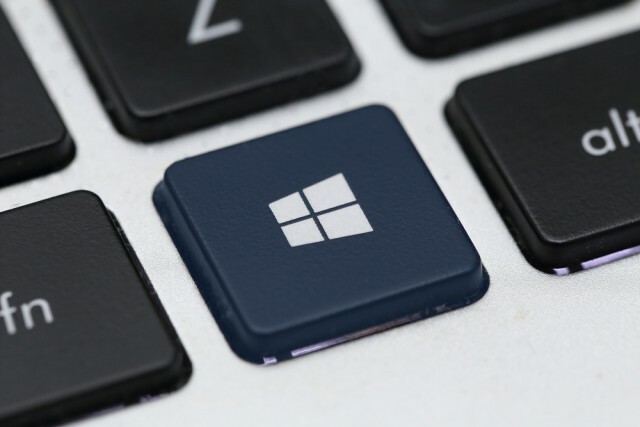 This week’s new Windows 10 19H1 build was slightly delayed due to an outage in Microsoft’s build publishing system which meant it took a few hours to begin rolling out to Insiders on the Fast ring. Build 18323 includes improved RAW image format support and a better Light Theme, as well as a large number of fixes. Download the Raw Image Extension (Beta) package from the Microsoft Store and you’ll be able to view image thumbnails, previews, and camera metadata of previously unsupported RAW files directly in File Explorer. Exposing camera properties stored as EXIF/XMP metadata is not currently working for some raw image formats. File Explorer hangs when the view state is changed to "Details Pane" and a raw file that activates the new raw codec package is selected. Opening some raw images in Photos app using the new store-delivered raw codec pack gets stuck at low resolution thumbnail image. Fixed an issue where the text in the battery flyout might become unreadable in light theme due to it being white. Fixed an issue where the scrollbar in the network flyout wasn’t visible in light theme. Fixed an issue where the autoplay icon in the systray wasn’t visible in light theme. Fixed an issue where impacting the network and volume icons in the notification area where after switching to light theme they wouldn’t update from white to black until explorer restarted. Fixed a similar issue where not all supported app icons in the taskbar would switch colors on the taskbar when switching between light and dark theme (particularly on the secondary monitor). Made some adjustments to address issues where when using light theme white icons in notifications weren’t readable. Updating the Settings icon to now be dark grey in the taskbar when light theme is enabled rather than black. [UPDATED] Fixed an issue where clicking your account in Cortana Permissions didn’t bring up the UI to sign out from Cortana (if you were already signed in). This issue also impacted the Change My Name button. For the time being the Volume Mixer link in the volume button context menu is returning to its October 2018 behavior while Microsoft looks at improving the experience based on feedback. Adding Nearby Sharing to the list of default Focus Assist exceptions. Fixed an issue where you couldn’t type on the touch keyboard when "Turn on Activate a window by hovering over it with the mouse" since focus would move away from the text field and set to the keyboard itself. Fixed an issue when using the full touch keyboard layout in Korean where pressing the FN key unexpectedly highlighted the IME ON/OFF key. Fixed an issue for this language where tapping the tab key wouldn’t insert a tab. While with Build 18323 Fixed the recent spike in Update Orchestrator Service crashes, if you’re on a base OS that’s impacted by the crash, you will still see the symptoms described above until you’re on 18323. You may consistently see black screens when using Remote Desktop, DisplayLink, or Miracast if you are on an AMD or Nvidia driver. Microsoft is working on a fix, but in the meantime, you can work around this issue by running the following command: reg add HKLM\Software\Microsoft\Windows\Dwm /v EnableFrontBufferRenderChecks /t REG_DWORD /d 0 /f. The value in Narrator Settings "Change the level of detail Narrator provides about text and control" might be empty. To work around this issue, use the Narrator command Narrator key + v to change the verbosity level, then close and reopen Settings app again.